1. Drain the pasta rice and rinse well under cold running water. 2. Combine all the dressing ingredients and mix well. 3. In a bowl, combine the pasta rice with the remaining ingredients. 5. Toss well and serve. 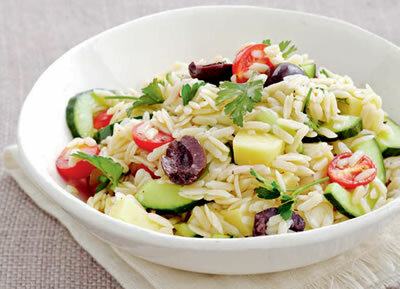 Feel free to comment or share your thoughts on this Pasta Rice Salad Recipe from Awesome Cuisine.